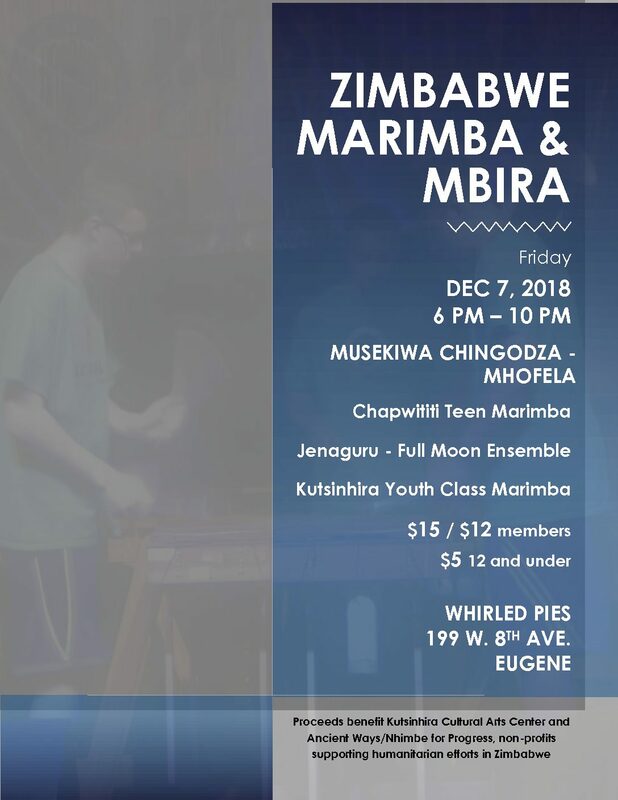 A night of traditional Zimbabwean music will be presented in support of Kutsinhira Cultural Arts Center of Eugene, and Ancient Ways/Nhimbe for Progress www.ancient-ways.org of Scio. Kutsinhira’s sponsored artist-in-residence for 2018, Musekiwa Chingodza, and his fellow musicians from Mhofela will perform beautiful mbira music. Three bands from Kutsinhira, including Jenaguru-Full Moon and Chapwititi, teen extraordinaires, will provide rousing marimba dance music. Bring your extra change, throw in the jars at the event, and help make Great Change for Zimbabwe.